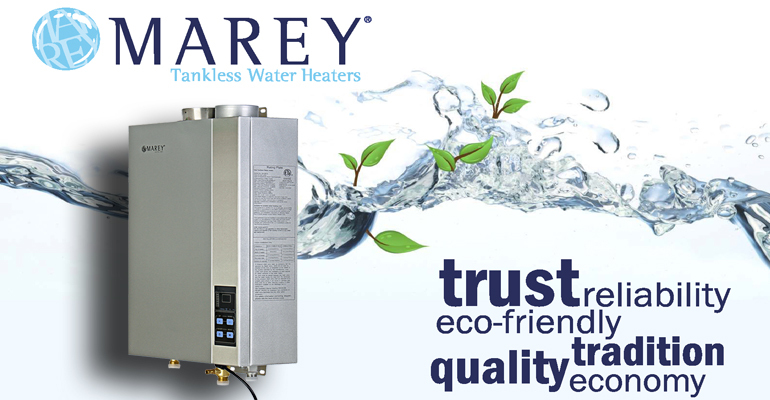 Marey Tankless Water Heaters available in electric, natural gas and liquid propane gas. 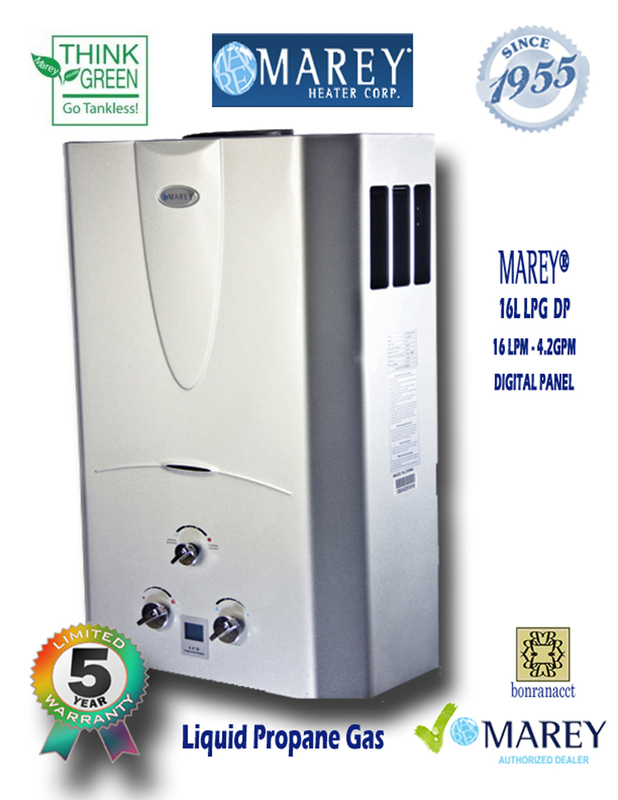 We are an authorized distributor for Marey Heater Corp.
We always attempt to provide the best customer service we can. 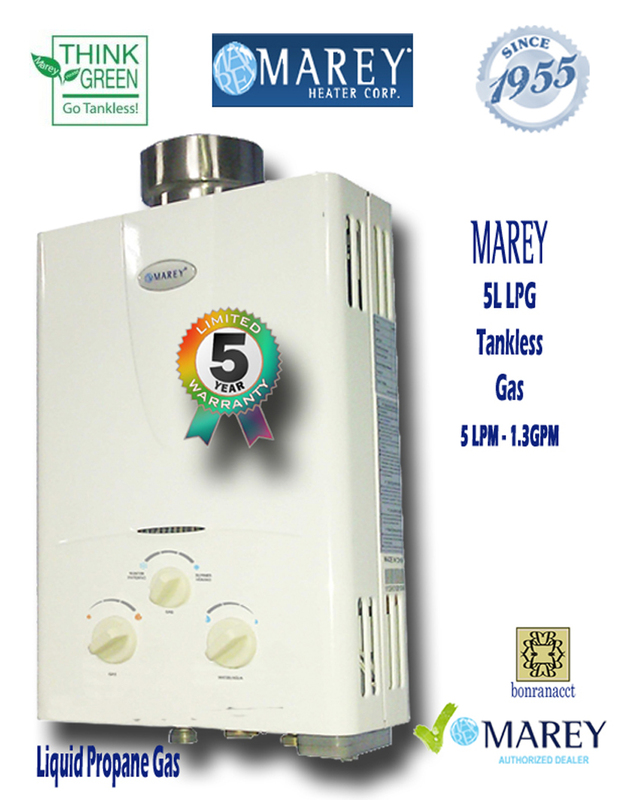 Marey offers a 5 year warranty on all of their water heaters. 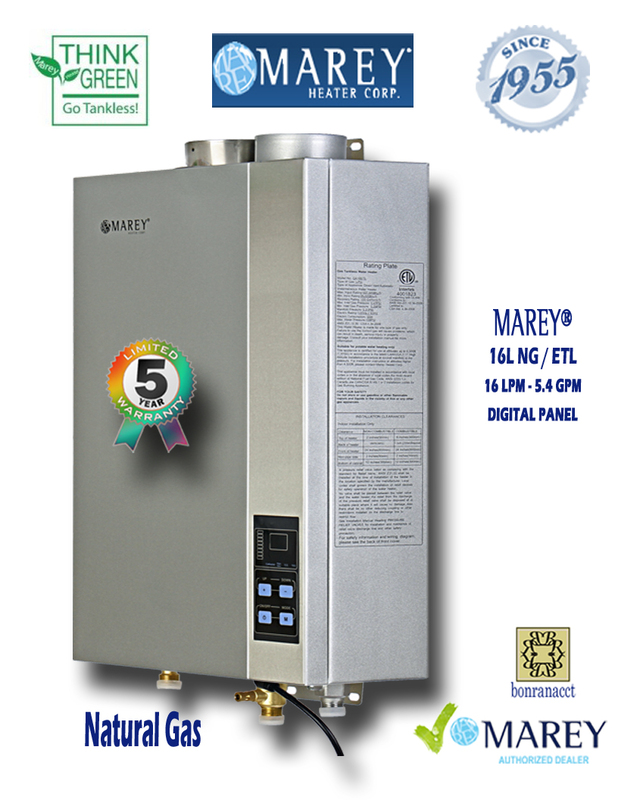 Go Green and save money in the process.